FLX Sanitary Switch - HiTECH Technologies, Inc. 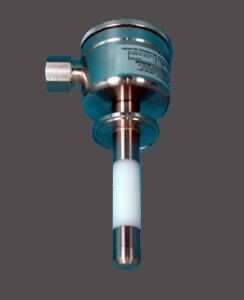 The HiTECH FLX family of Conductivity Level Switches are an ALL stainless liquid level switch, based on the conductance technology, measuring between the sensor tip and a ground reference. Designed to be non-clogging and well suited for clean-in-place service, they are the ideal choice for the beverage, food, biotech, pharmaceutical, and chemical industries. To satisfy a broad range of application requirements, a variety of process connections and wetted materials are available.